What does being beautiful or having beauty really mean? Often we connect beauty to having desirable or superior looks. Young men and women often get caught up into the way their face, make-up, and body type looks. This causes us to compare our “beauty” to someone else’s. When we constantly compare ourselves and tell ourselves that we aren’t good enough, then we start to belittle our own looks and our own personalities. 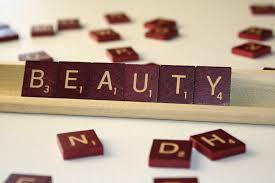 Thus we forget what beauty really means. The definition of beauty is this: “the quality present in a thing or person that gives intense pleasure or deep satisfaction to the mind, whether arising from sensory manifestations (as shape, color, sound, etc. ), a meaningful design or pattern, or something else (as a personality in which high spiritual qualities are manifest)”. This definition doesn’t state beauty in one look or one shape. Instead it says a quality present that brings satisfaction or is desirable. This quality can be in any shape, design, size, color, look, or personality. Everybody is different. We hear this over and over. So I’m going to put it in a way that is used less often. Everyone is beautiful. Everyone has beauty. There isn’t a single person that doesn’t have a desirable trait or multiple. Instead of creating standards and comparing ourselves to what we think is beautiful we need to learn how to find the beauty in ourselves. It’s time that people start to see themselves as beautiful, tell themselves they are, and believe it. It doesn’t matter if you have a curvy body, a straight thin body, brown eyes, blues eyes, short hair, long hair, dark skin, pale skin, or if your street smart, book smart, athletic, or artsy. It’s important to find your beauty. Let it shine. Here’s a secret: There is more then one part that is beautiful, all of you is covered in beauty. Find beauty on the inside as well as the outside. Be Radiant in all aspects of your life and let your confidence and love for yourself role off yourself and just infect everyone else. Everyone should find their beauty. Everyone should love, respect, and see themselves as beautiful. Express your beauty in any way that you feel necessary. Just never forget that you are beautiful. Don’t ever let someone else shadow you with doubt. Don’t let someone try to steal your beauty or radiance. Surround yourself with people that understand that you are beautiful and that they are too. Surround yourself with people who love to see you shine and succeed, not with people who love to see you fail. Surround yourself with people that are going to respect and love yourself the way you want to love and respect yourself. To me having beauty means not only to see the beauty in myself, but to see it in the things and people around me. I don’t want to be the person that steals that radiance from others, and I don’t want to be the shadow of doubt that follows others around. I want to be the person that helps bring the beauty out in others. To hope for their success, and to be the person who tells others that they are indeed beautiful. I believe that I have beauty on the inside and out, and want others to know that they have it too. Take care of yourselves, treat your body, mind, and spirit well. Let your radiant, beautiful self shine, and let your positive out look on yourself bring a positive impact to others.